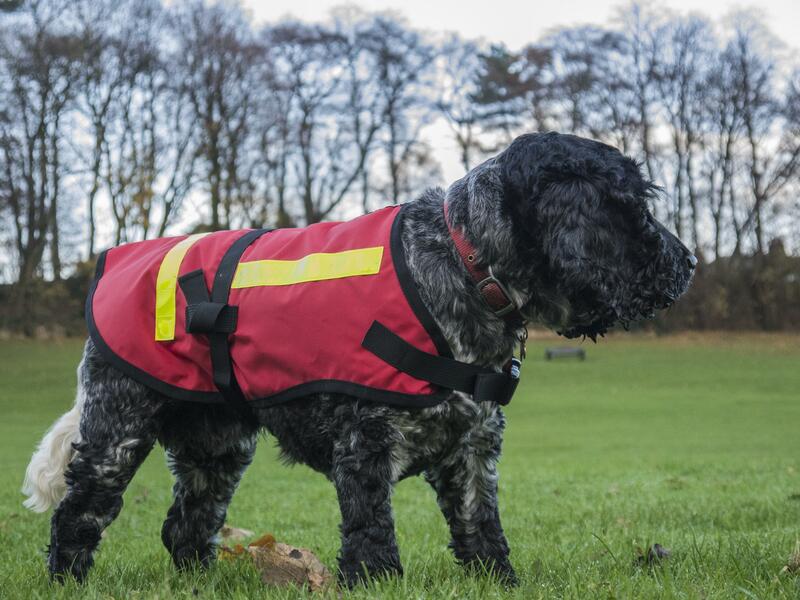 The Dalehound Dog Jacket Lined is a warm and warterproof dog jacket for dog's who enjoy being outdoors as much as their owners! Made in the UK at our factory in Skipton, North Yorkshire, the lined Dog Jacket has a waterproof shell and a thick pile fleece lining. The materials used are durable, fast drying and are easy to clean (just pop it in the washing machine at 30 degrees). 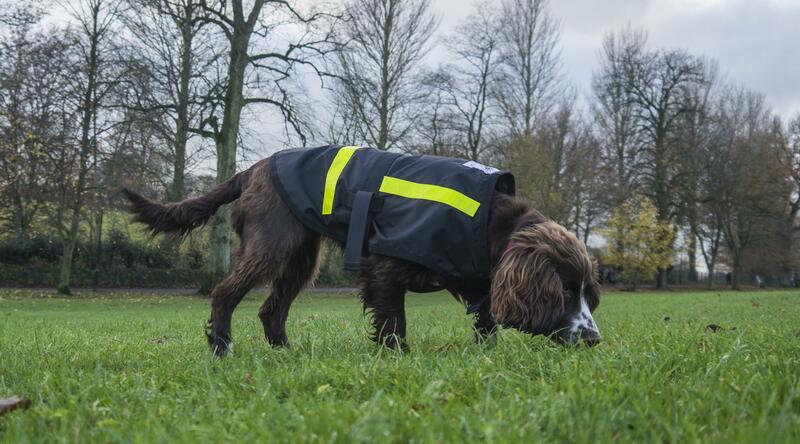 Two straps secure the jacket in place and reflective panels enable the dog to be seen in low light or bad weather. Available in 7 sizes, from XXS to XXL. Measure your dog from the collar to the base of the tail.